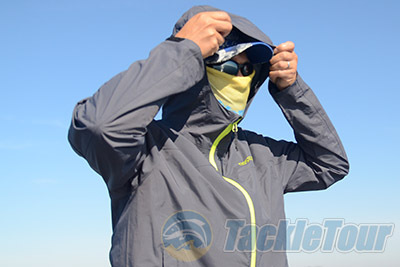 Introduction: STORMR, the garment company that is best known for their neoprene based foul weather has expanded their offerings with new garments that are both more lightweight and packable, yet are still designed to be an effective shield from the elements. 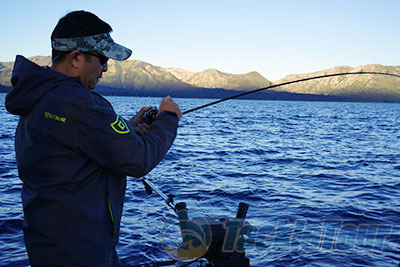 The new Nano shell jacket and pants are designed to be a lighter more affordable option for anglers looking for protection from elements in warmer and even tropical conditions. We put the complete set to the test from the California coast to the mountains to see how the garments would perform in a range of climates and conditions. Impressions: It has been three years to the day when we published our review of the very first STORMR offerings, the STRYKR Jacket and Bib. 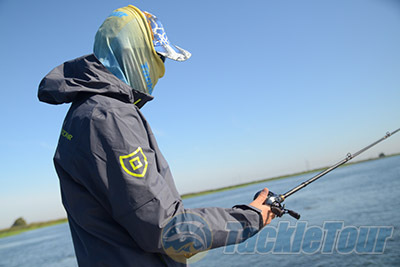 Those garments made use of neoprene to create a complete suit of armor from the elements for anglers. 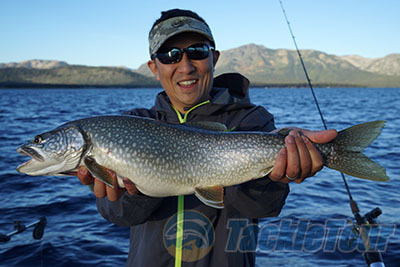 These garments proved to be extremely durable and have found a strong following among not only bass anglers but Pacific Northwest Guides looking to stay warm and dry in extremely unpredictable cold and damp environments. While the STORMR STRYKR garments did a great job protecting anglers from the elements they also came at a price. 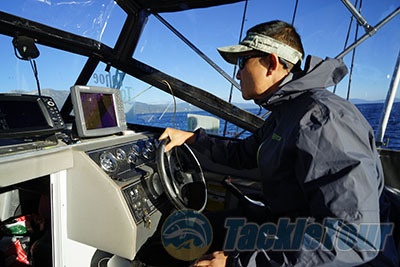 Not only were they nearly 600 dollars for a complete set they also were among the heaviest foul weather garments we tested, making them difficult to recommend for destination fishing where luggage space and weight come at a premium. Over the last three years STORMR has expanded their line and while the STRYKR Series continues to be the company�s flagship offering newer designs like the Fusion and Aero Series do a better job catering to the bass angler who are looking for a better balance of light weight, greater freedom of movement, and the ability to pack their gear into smaller boat compartments. The new NANO Series takes this a step further, and while they may not be as feature rich as the other STORMR lines these garments are designed for ultimate flexibility, especially for the angler on the go. 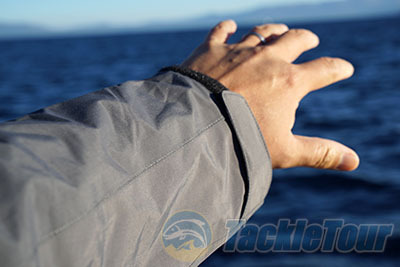 Quality/Construction: You won�t find any neoprene on the NANO Jacket or Bib, the NANO is constructed out of 100% nylon. These garments look and feel more like traditional shells, and are designed to be 20k waterproof and also highly breathable. From the outside they look more like traditional rain gear versus fishing garments, but inside they are all business and are fully seam sealed for reliability. I found the construction on both the NANO Jacket and Pants to be very good, and our test garments did not exhibit any loose threading throughout. 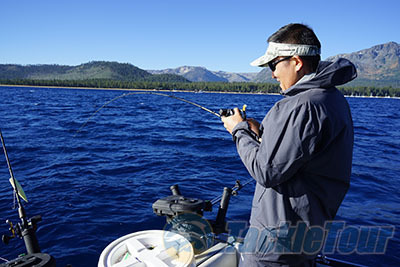 Performance: During the field tests I fished for everything from Largemouth Bass in the California Delta to deep water Mackinaw in the clear water of Lake Tahoe. I encountered only two days of rain during the field tests but did get to experience a wide swing in temperatures on different trips. Designed to be used in warmer environments the NANO garments proved to be quite comfortable to wear all day long during the Fall months, but in Tahoe I did find myself longing for a little more protection from the cold when the sun wasn�t overhead and the wind was blowing. Water beads on these garments and easily slides or shakes off. The pants do a good job shielding your base layer pants or shorts from the rain, especially when the jacket is zipped up as it is cut long and will overlap the waist section. The waist on the pants is elastic, no belt required if sized right. If you�re expecting these pants to offer as much protection as a bib you will be disappointed, as these pants are designed to offer freedom of movement but will only protect you up to your waist so keeping your jacket zipped up is a must in rainy and conditions where you are likely to get splashed. The NANO Jacket and Bib got the job done when it came to keeping me dry and in warm conditions I never felt like I was overheating, as the fabric does a good job remaining breathable. The only performance related issue I did notice during testing was range of motion on the pants. While the garments have a modern cut the nylon fabric is not as flexible as some materials, including the company�s own neoprene based options. While there is some give in the material I noticed when stretching out to lip fish I felt somewhat restricted from fully extending, and I was even worried at first that I was going to stress the pants so much they would simply rip apart at the seams, but my fears proved to be unwarranted as the garment held together just fine.